Your product may also come with a manufacturer's extended warranty. Please refer to the product listing on our site or the warranty information provided with your product. 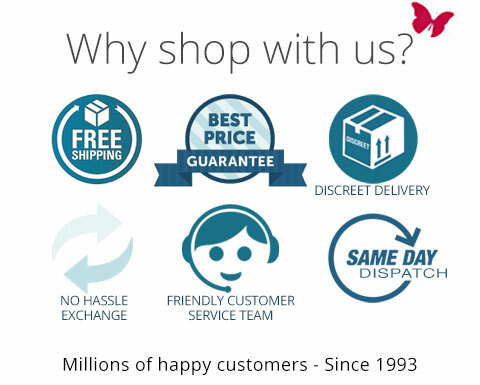 True to our high level of customer service, we will always endeavour to keep our customers happy and satisfied. Is your garment or footwear faulty? We offer a 90-day replacement period for faults on all lingerie, beachwear, costumes and footwear. We are not able to cover damage to garments that are the result of improper care or laundering. Please follow all care instructions carefully. We offer a 90-day hassle free return policy for change of mind or unsuitability of lingerie, beachwear, costumes and footwear.